Did you know that over three million Americans are allergic to cats? Before thinking about giving Kitty up for adoption, here are a few simple tips to help if someone you love has allergies. These solutions have been known to provide relief, and in many cases, symptoms will lessen enough that you can live with your cat without serious discomfort. Allergic reactions to your cat are mainly caused by his saliva, which contains a protein called aminoglobulin IGA, which is left on his fur when he cleans his self. However, allergies can also be caused by their hair and dander. Use tips to reduce the amount of allergens in your environment. Since most cats do not like baths, you can try wiping them down with distilled water on a sponge or use one of the pet wipes that are available on the market today. Frequent grooming with a brush and comb will help get rid of excess hair, as this is also an allergen. Vacuuming, dusting and mopping may also help. Changing your furnace filters more often will help reduce the amount of hair and dander floating around in the air. You could also invest in an air "scrubber" equipped with a HEPA filter for the air in your house; this will help "scrub" the air of allergens. You can also buy vacuum cleaners that come equipped with a HEPA filter, and most furnace filter manufacturers now offer HEPA replacement filters for your furnace. What makes a HEPA filter so special, is that it actually removes smaller particles than normal filters will so more dander is removed from the environment. If you're up for the challenge, you can try giving your cat a full bath. I have included instructions below for those of you who have never tried it, or don't know quite how to go about it. Bathing your cat once a week has worked for some allergy sufferers I know. Brush: This can be used before the bath to remove excess hair, and tangles before bathing. Two towels: One towel is for drying your cat off after the bath, and the other is for putting on the bottom of the sink or bathtub to help keep the cat from slipping. Mild shampoo suitable for a cat: It is important that you don't use a human shampoo; our shampoos have ingredients in them that are not safe for pets. Also, make sure that the shampoo is suitable for use on a cat. 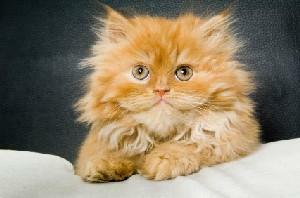 Cat shampoo is usually milder than a dog shampoo, and a dog shampoo could also be too strong. Conditioner suitable for a cat: Yes, they make conditioners for cat hair. You probably won't need this if you have a short-haired cat, but it is a good idea to have around if you have a long-haired cat. Several containers of warm water: Some cats are frightened by the sound of running water, and you want to make this experience as painless for both of you as you can. If you have several containers ready for wetting down and rinsing off, you will be ahead of the game. Get the room you have chosen to bathe the cat in ready before you start. Doing this in a bathroom sink or a room that has doors you can close is the best. If Kitty gets away, you won't have a trail of suds around the house to clean up. You can bathe your cat in the bathtub, but if you have a sink at waist height or higher, this will give you more control. Fold up one of the towels and put it in the bottom of the sink, making sure to cover the porcelain that your cat could slip on. The towel will also give the cat something to sink his claws in, so you aren't the recipient. Take your brush and brush out the hair coat gently. This gives you a chance to find any mats and remove them before they become painful. This is also a good time to clean your cat's ears. Dampen the cat's coat thoroughly. Take a small amount of shampoo and lather up the cat. Remember, your cat is quite a bit smaller than you are, so you don't need very much shampoo. As I don't own cats, I asked my assistant Ruthie what she uses to shampoo hers, and she mentioned that an oatmeal shampoo is very mild. If you aren't sure which product to use and still have questions, check with your vet for his or her suggestions. Make sure to lather the cat well and then rinse. (If you use a conditioner, this is the place to apply it. Make sure that you have rinsed all the shampoo out of the coat first. After applying the conditioner, rinse, rinse, rinse.) The rule of thumb for rinsing is to rinse five minutes for every minute of washing. This ensures that you get all the shampoo and conditioner out of your cat's hair coat. Dry your cat well after bathing. If your cat likes to go out, try not to let him or her out until the coat is thoroughly dried. Another idea you can try for allergies is to remove all carpets, drapes and other fabrics where allergens might hide. Don't let your cat sleep in your bedroom with you. That is too long a time for you to be assaulted by allergens. If you are allergic, it is important to remember to wash your hands thoroughly after playing or any handling of your cat. Don't touch your face or your eyes until after you have washed your hands. Finally, if you have asthmatic reactions to cats, you really shouldn't keep them as pets. Always talk with your doctor before deciding to bring a cat into your home. My brother is still very allergic, but he takes shots to be able to live with our pets. This may not be right for everyone, but it is a possibility.